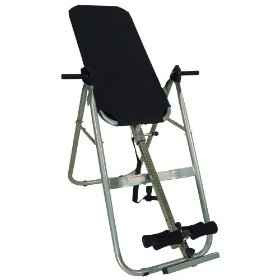 Yesterday I picked up an almost brand new Inversion Table off of Craigslist for a smokin deal. Normally they go for around $200-350 depending on the brand and I wanted a good one. I was able to snag it for $100 and it works perfectly. This is exactly what my back needs. I have maintenance chiropractor visits about twice a month and use his whenever I'm there. I've been patiently waiting and trying to get one of these for a good price for about 6 months now. Finally my time came. I went on it for about 10 minutes last night a couple times and then again today as well. I did it right after my workout today and I tell you I don't have any of my normal stiffness in my lumbar spine. This thing is great and I really hope it continues to help me regain full spinal health. That really is the only thing holding me up from being able to progress more quickly with various movements and lifting tasks. I want to briefly mention something that I don't really spend a lot of time blogging about, but is crucial to overall fitness. I want to make sure that my readers know that I do perform very regular warm-ups and cool-downs with all my workouts. I always perform a 10 min. movement based warm-up with some yoga type moves and stretches along with maybe some squats and/or lunges. Then I always complete my workout with about a 20-30 minute (depending on my timing) yoga type cool-down with much more challenging moves and stretches. This has really helped me in my overall flexibility and spine health. I can now do Chinese style splits and have never been able to do that before. I'm working on touching my chest to the floor in that position and am almost there. Flexibility is something that if you don't continually work on it and use it you will lose it. So I always recommend doing something with stretching after every workout even if it's simply 5 minutes.